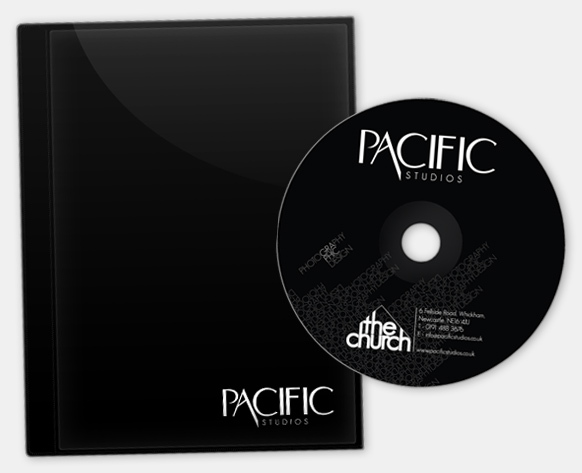 With the integration of new design services to Pacific Studios endevours they needed a new visual identity and a updated logo. Pacific prise themselves on producing high-end visuals in both photography and design. The identity I created uses a pattern made from the logo-type that reads 'Photography Graphic Design' incorporating the 'gra' from the word photography the begin the words 'graphic design' which works as a metaphor for the two services overlapping and being as one. The stationary is designed using their brand's slique colour palette of black, grey & white. Opting for a square format for the business cards and compliment slips aid the brand to stand out, on top of that the compliment slip is printed in black so the note can be handwritten in silver ink to mirror the exclusivity of the brand. The pattern was design to be versatile and work across all mediums such as stationary, dvd cases and even vehicle graphics.